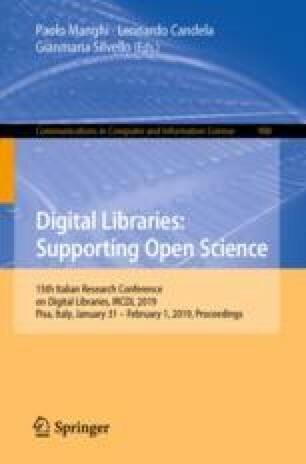 The study presented in this paper is part of our research aimed at improving the search functionalities of current Digital Libraries using formal narratives. Narratives are intended as sequences of events. We present the results of an initial experiment to detect and extract implicit events from the Wikidata knowledge base in order to construct a narrative in a semi-automatic way. Wikidata contains many historical entities, but comparably few events. The reason is that most events in Wikidata are represented in an implicit way, e.g. by listing a date of birth instead of having an event of type “birth”. For this reason, we decided to generate what we call the Wikidata Event Graph (WEG), i.e. the graph of implicit events found in Wikidata. We performed an initial experiment taking as case study the narrative of the life of Italian poet Dante Alighieri. Only one event of the life of Dante is explicitly represented in Wikidata as instance of the class Q1190554 Occurrence. Using the WEG, we were able to automatically detect 31 more events of Dante’s life that were present in Wikidata in an implicit way.